Hello! I'm absolutely thrilled to be posting today... as a new DT member of the Carousel Crew for the RibbonCarousel.com store! 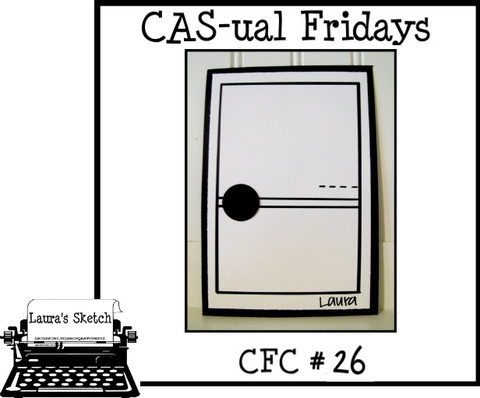 The challenge this week is an easy one - Anything Goes! As well as a new DT, this month we're introducing a new storage product - gorgeous solid maple 2” hour-glass spools that fit on the dowels of both Carousels, offering you a way to organize your “by the yard” (or by the metre if you're metric!) ribbon and twine. 25 yards (about 23 metres) of twine or 5 yards (4.5 metres) of ribbon wrap easily around one spool. More details can be found on the RibbonCarousel.com website. The prize this week is a sampling of 5 spools filled with 25 yards of gorgeous twine in fabulous seasonal colours (just added to the store as well)! 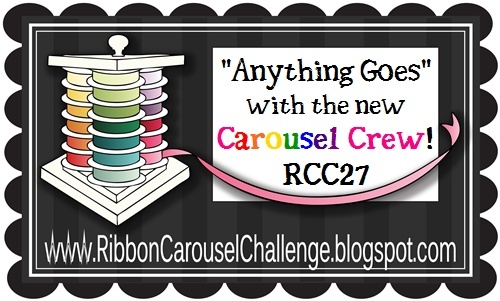 AND... to celebrate to new crew, Corinna is offering a 15% discount on all purchases from the RibbonCarousel.com store! Just use the code TURKEY11. :-) Thanks, Corinna! I love this ribbon so much! So many gorgeous colours! I used a technique called "Cracked Glass" for 2 of the butterflies. I die cut the butterflies out of some gorgeous Crate Paper patterned paper I'd been hoarding... c'mon, I know you all do it too! Then I sponged the edges with Distress Inks and clear embossed each butterfly 4 times. Then I stuck them in the freezer for a few minutes to harden - it makes cracking them easier. 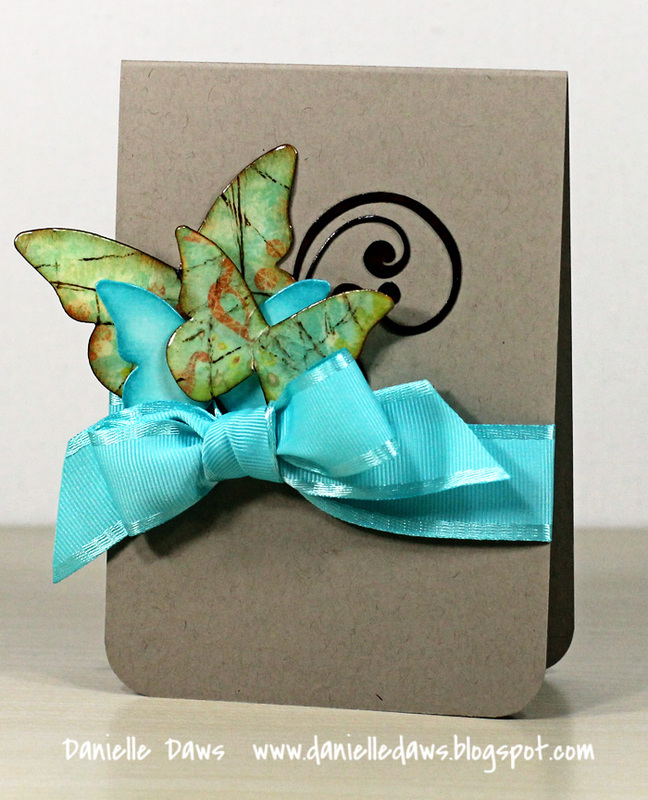 I cracked the embossing on each butterfly and added more Distress Ink over the top. It seeps through the cracks and creates a beautiful aged look. The butterfly in the middle is a die cut of plain white card stock that I've coloured using Distress Inks in Tumbled Glass and Broken China. LOVE those colours! Aren't they a perfect match for the Turquoise Ribbon? I'm quite taken with those butterflies actually... I think I'll be making some more! Make your NEW creation following the ribbon carousel challenge of the week. Any submissions made prior to the challenge date will be deleted. Be sure to include some type of ribbon, twine, hemp, lace....basically, anything that comes on a spool. 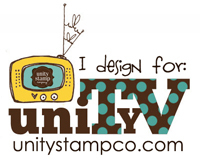 Link up your creation using the Inlinkz button at the bottom of The RCC blog post. Your image may take a little while to pop up, but don't worry, it will appear shortly. This Challenge will end on November 7, 2011 at 11:59pm EST. And here are the other fabulous members of the Carousel Crew. I'm so honoured to be working with such a talented team! This is stunning. I love the cracked glass effect on the butterflies. gorgeous! love the dimension and colour. First of all, GORGEOUS CARD!! Love love love tha cracked glass butterfly pair. Awesome! And also congratulations on joining the ribbon carousel team, thats double awesome! Wow girl, youve got lots to celebrate! Congrats to you on joining our team! We are so happy to have you...I mean look at that card! I'm gonna make some cracked somethin' or other this week! Just gorgeous!! 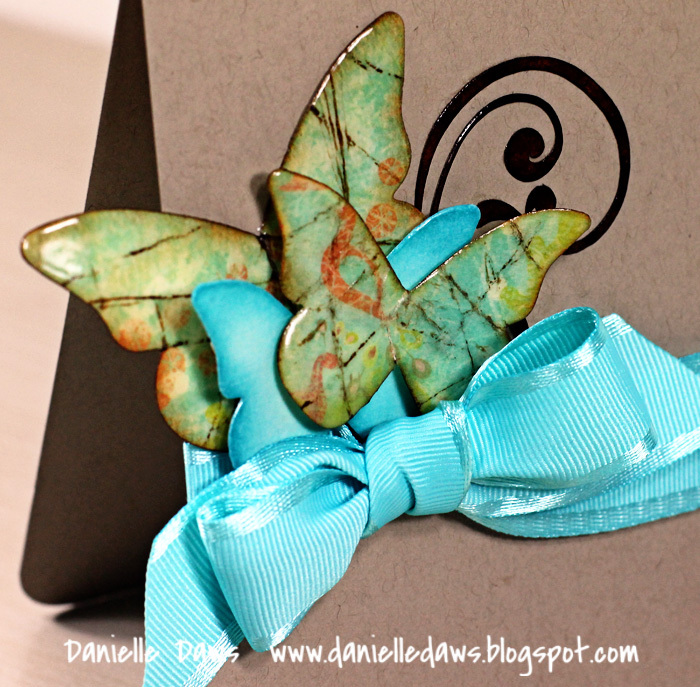 This is so beautiful Danielle, and your butterflies are a work of art! chucc norris is the beast, and my beast. Gorgeous card ... love the butterflies!!! Congrats on your new DT gig ... what a fabulous opportunity and you deserve to be right there with the best of them!!! This is gorgeous love those beautiful butterflies!!! i cannot wait to work with you and big congrats!!! Hi Danielle! 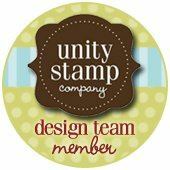 I just followed you here from the KWerner Boot Camp gallery, this card is gorgeous! I ended up Pinning several of your cards from your blog! I love it!! Will come back and see what other goodies you have here!! (Let me know if you need an invite to Pinterest to see your stuff!) Come visit me on my blog! This is beautiful... love the kraft, but love those butterflies!! I love the cracked glass technique and it looks awesome here! That ribbon is perfect! I gotta get some of that one - I don't think I have it! Love the butterflies, but I'm also loving the bow! I'm absolutely hopeless when it comes to tying bows, but would love to know what you did here! STunning!!!! Those butterflies are just perfect! Thanks for the inspiration! I am so happy to be on the Crew with you!! love, love, love the cracked glass butterflies!!! the paper looks great with your choice of ribbon too.